This morning, Q2 had a fabulous morning picking strawberries. This was followed by making jam in the senior school Food Tech room. The children have learnt about plants this term, and this session enabled them to see for themselves what can be done with plants that we eat. They have also learnt about hygiene in the kitchen. 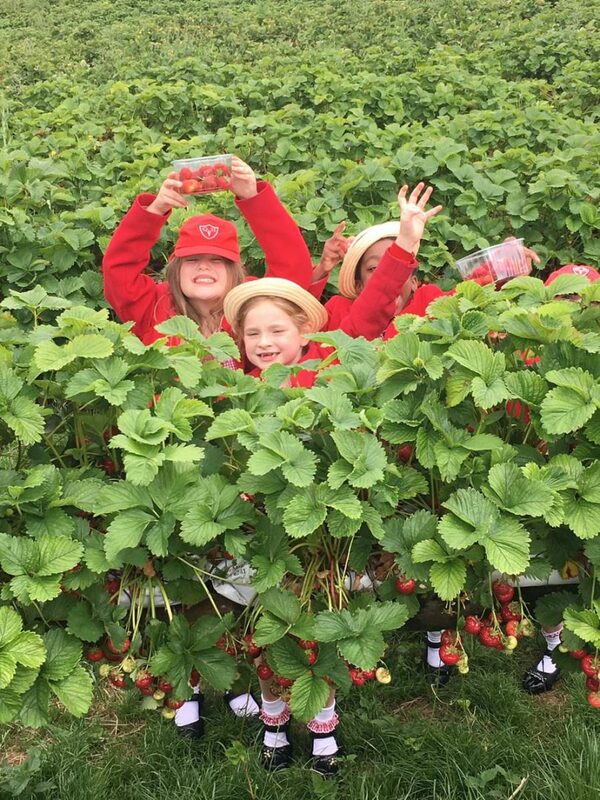 It was a most enjoyable experience, and the children enjoyed both picking and eating the strawberries! Thankfully Mr Muskin and Mr Capuano were on hand to save the day when the jam making ingredients got locked into Mrs Pearson’s car! Thank you to Mr Muskin for driving us there, and thank you to Mrs Goody who helped us in the kitchen.